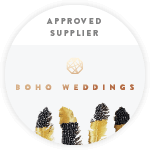 Commissions generally start with an email or phone call and once a design, ring size and time frame is agreed upon, a 50% invoiced deposit is required to start. This can be done by BACS payment. Just contact me via email sazmadsenart@yahoo.com to commission and for me to send over your invoice. Over the next 4 -6 weeks your commission is handmade by me in my studio. Once done, I'll contact you letting you know your Jewellery is ready and at this point your balance is due. After full payment is received, your Jewellery is gift wrapped and sent via special next day signed delivery in the U.K ( for orders over £50 this is free in U.K.) I''ll let you know tracking number and when your order was sent. *If there is an urgent time frame, please just check I may be able to make this happen for you. Please note due to hygiene, earrings are nonrefundable. Also with the nature of Personalised and Custom Orders, unless the items is defective upon receipt. No refunds will be accepted. Incorrect sizing by the customer will be charged or the ring remade at customers expense. Any questions please don't hesitate to ask. See Terms & Conditions on the Home page for further information.